SAN FRANCISCO, Oct. 25, 2018 /PRNewswire/ -- Elation Health and 4C Medical Group have announced a partnership to deploy Elation Health's Electronic Health Records system across 4C Medical's multi-site multi specialty care network. The partnership will transform the provider and patient experience across a group serving over 80,000 patients in the Phoenix metro area in Arizona. 4C Medical Group's ambulatory care division provides primary and specialty care through eight clinic locations in the Phoenix metro area. Driven by their core values of Communication, Compassion, Competence and Camaraderie, the group's care model emphasizes patient centric and outcome focused medical services to their patients. 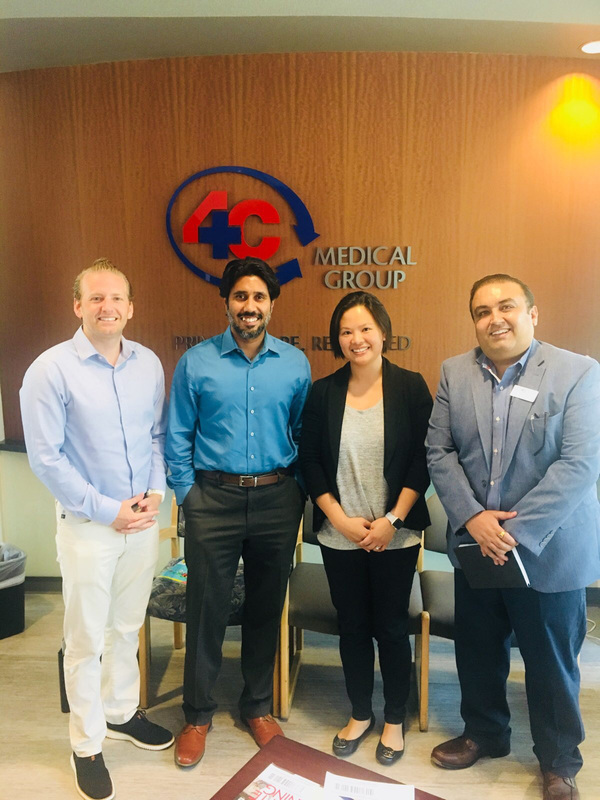 "At 4C, we believe that timely access to primary care and collaboration between the various stakeholders involved in our patient's care are critical factors in improving the health and quality of life for our community," says Varesh Chaurasia, CEO of 4C Medical Group. "We care deeply about preserving the patient-physician relationship and equipping providers with the tools they need to make great care decisions. Elation's focus on empowering physicians to focus on their patients aligns perfectly with our values. ", said Dr. Vishal Verma, CMO of 4C Medical Group. Elation Health offers a cloud-based, clinical first platform for independent physicians. The partnership will allow 4C Medical Group to scale their business operations across the Phoenix Valley. Elation will help drive provider satisfaction, operational efficiency and patient engagement in 4C's clinics. Additionally, Elation will work with 4C to expand its participation in some of the country's highest performing accountable care organizations and continue to drive improved patient outcomes across some of the most at risk patient populations. Elation Health has expanded quickly, growing a network that now includes over 450,000 providers across 50 states, with the Phoenix and Scottsdale Valley areas among the fastest growing regions. "We're excited to partner with 4C Medical Group and help them offer technology to their physicians that aligns with their commitment to high-quality primary care," said Kyna Fong, co-founder and CEO of Elation Health. "Physicians throughout the Phoenix area have been rapidly adopting Elation over the past 12 months, and we look forward to continuing to increase our impact there in 2019 and beyond." Elation Health strengthens the patient-physician relationship, providing an intuitive care platform that allows physicians to focus on their patients and deliver high-quality care. The company concentrates on independent primary care practices and other innovative care models, with a network of over 450,000 providers. Founded in 2010 by siblings, Kyna and Conan Fong, Elation's "Clinical First" philosophy and intuitive design are trusted by clinicians across all 50 states. For more information, visit www.elationhealth.com.